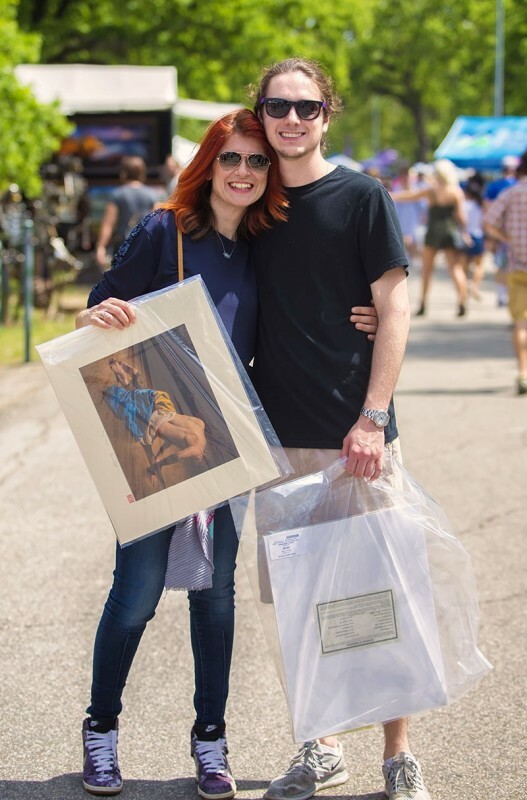 The Bayou City Art Festival attracts crowds of 35,000 art lovers, and it gives thousands of artists from around the country a chance to showcase their work. Happy Friday! Enjoy the last weekend in March with some of these fun events we’ve rounded up! Our very own Houston Cougars have made it to the Sweet 16 in the NCAA Men’s Basketball Tournament! Cheer them on this Friday night at a watch party sponsored by KHOU Channel 11. The Spirit of Houston Band and the Cougar Cheerleaders will also be joining the fun, as the Cougars play against Kentucky. This event is free and open to the public! The game starts at 9 p.m. Check out Bayou City Art Festival at Memorial Park this weekend! The festival is one of the top outdoor fine arts festivals in the nation, showcasing the works of over 300 of the finest artists in the world. This three-day festival attracts more than 20,000 people each year and also offers food and entertainment! Join educators, administrators, safety professionals and community leaders for an intensive two-day conference on school safety. Hosted by Crime Stoppers of Houston as well as Safe and Sound Schools and Region 4 Education Service Center, the conference covers six key areas: physical environment; operations and emergency management; mental and behavioral health; health and wellness; culture, climate, and community; school law, policy and finance. Fresh Arts’ annual fundraiser takes place this Friday. This year’s theme is The Glow Ball. Each year, the nonprofit arts organization hosts a wild costume event with live entertainment, dancing, an art auction, light bites, drinks and more. Stock up on books and plants at this festival held on Friday and Saturday! Browse a selection of gently used books at bargain prices, including children’s adult fiction and nonfiction, cooking, history, religion and the classic. And don’t miss the great deals on bedding, hanging plants, and exotic indoor and outdoor plants. A silent auction will also offer an opportunity to bid on rare books, and all proceeds will be used to buy materials for and pay for beautification of the library! Visit the largest children’s festival in the United States, celebrating its 31st year! The festival features 14 Big Family Adventure zones, five stages with music and entertainment, more than 300 fun activities plus featured celebrities and characters. Proceeds from the festival go to Child Advocates, an organization that supports abused children, ensuring their interests are heard and represented before a judge. Watch some of the best Jewish and Israeli films at the 15th annual Jewish Film Festival, opening this weekend! The festival, running through April 10, presents audiences with 19 award-winning tales of Jewish lives, from shorts to documentaries to feature films. On Saturday evening (opening night), JCC Houston will be showing A Bag of Marbles, an amazing, true story relating the experience of two, young Jewish brothers in war-torn France. Have you ever wanted to see a monster truck up close? Bring your kids to Evelyn’s Park on Saturday for an opportunity to do just that! At “Touch A Truck,” attendees will also get a chance to check out heavy equipment, high water vehicles and more. This event is free to attend! Wear white and prepare to smear friends and neighbors with colored powder during the Bellaire Holi Festival, celebrating the Indian spring festival of color. Also get ready to show off your dance moves, as a professional dance instructor will be onsite teaching Bollywood moves. Enjoy a Sunday-morning 5K or 1K at the Run for the Rose at NRG Park! This race supports brain cancer research and pediatric initiatives, recognizes brain tumor survivors and remembers loved ones lost to this devastating disease. See our calendar for more upcoming events.